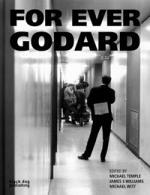 My recommendation today, another addition to Film Studies For Free’s listing of scholarly resources in audio or audiovisual form (also see HERE and HERE), is for podcasts of audio-recordings of several sessions from the 2001 For Ever Godard conference. The link (to a MySpace page, which takes a while to load) is HERE. FOR EVER GODARD was a four-day international conference held at Tate Modern, London, 21-24 June 2001. It is the first event of its kind ever to be devoted to Godard’s work in Britain. It brings together both well-established commentators and the younger generation of critics working in the fields of film and television, art history, cultural studies, philosophy, music, and literature. It draws on talent from many different countries and from different intellectual backgrounds. There are also lots of Godard-related YouTube videos embedded on this site, as well as some great images. There’s a good review of the conference by Maximilian Le Cain at senses of cinema HERE (and a detailed review of the related book collection For Ever Godard, on Film-Philosophy, 10. 1, by Katerina Loukopoulou HERE). Film Studies For Free’s principle of full disclosure requires me to note my own involvement in the For Ever Godard conference; I was a member of the advisory committee, and was also lucky enough to chair a great session on Godard’s lyricism with both Adrian Martin (see a lovely article by Martin on Godard in a special issue on ‘French Cinema Present And Past’ at senses of cinema HERE; as an aside, I highly recommend girish‘s enlightening interview with Martin HERE) and André Habib (see a good piece by Habib on Godard at senses of cinema HERE). I also contributed to the published collection of work which was based on the conference, from which sample spreads can downloaded for free via this link HERE.